Sony launches the Xperia Z2 with "world's best mobile camera"
At Mobile World Congress 2014, Sony has announced their new flagship Android smartphone, the Xperia Z2, which is a small update to the Xperia Z1 but packs what the company claims is "the world's best mobile camera". The design of the Xperia Z2 is similar to the Z1, although Sony has bumped the screen real-estate up to 5.2-inches (from 5.0-inches) through the inclusion of an all-new display. The company has ditched the eIPS LCD in favor of a traditional 1080p IPS panel, which reportedly fixes issues such as poor viewing angles and color accuracy that we alluded to in our Xperia Z1 review. Internally the SoC used has seen a minor bump up to a Snapdragon 801, complete with a 2.45 GHz quad-core Krait 400 CPU and a faster-clocked Adreno 330 GPU. There's also 3 GB of RAM, 16 GB of storage, a microSD card slot, LTE and a 12.16 Wh (3,200 mAh) battery inside. The camera on the Z2 which Sony calls the "world's best" is physically identical to the Xperia Z1: a Sony-made 1/2.3" 20.7-megapixel sensor combined with an f/2.0 27mm-effective lens. There doesn't appear to be OIS, which may affect low-light images, although increased processing power now allows the sensor to capture 4K video at 30 frames per second. Other features include full IP55 and IP58 water resistance, and digital noise cancelation built into the phone as well as the supplied earphones. 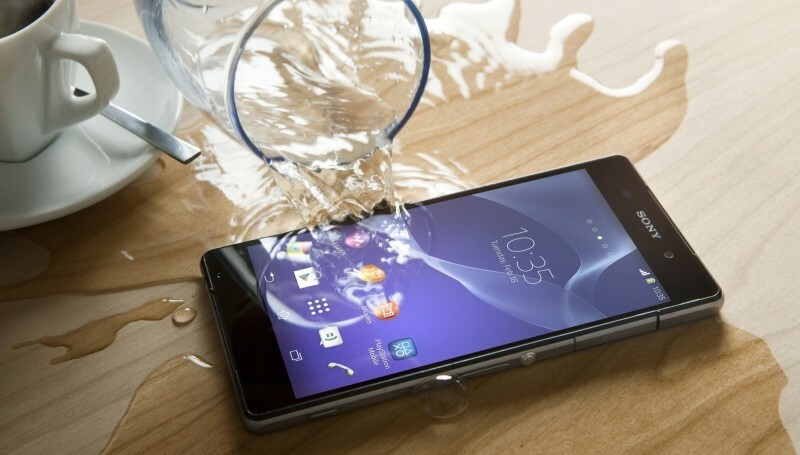 The Xperia Z2 is 8.2mm thick, 158 grams heavy and will launch globally in March 2014.